The trust’s proposals for the British Normandy Memorial were explained in detail to the citizens of Ver-sur-Mer at a public meeting on 27th March. 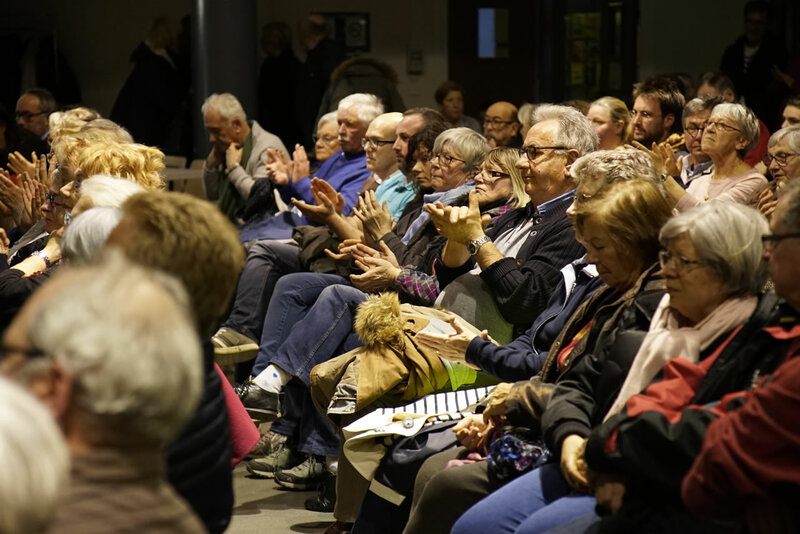 About 180 local people attended the meeting which was chaired by the sous-Prefet of Bayeux, Vincent Ferrier and the Mayor of Ver-sur-Mer, Philippe Onillon. Monsieur Ferrier explained that the meeting was the beginning of a detailed consultation process with the local community. Trust Chairman Lord Peter Ricketts explained that the Ver-sur-Mer site had been the choice of Veterans who hoped to see the memorial built in their lifetimes. He stressed that the trust was keen to hear the views of local people and to work as closely as possible with them. Concerns were expressed about the impact of the memorial project on the town. Questions were asked about visitor numbers; the level of traffic disturbance which might be expected and the planned move of the town’s football pitch. The public meeting will now be followed b y a serious of smaller “workshop” meetings dealing with different aspects of the memorial project.